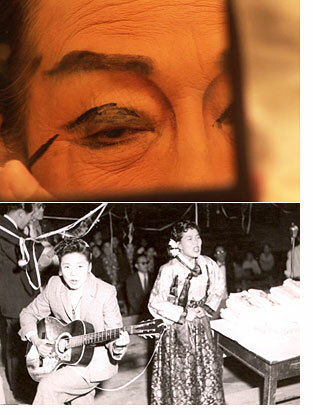 In the 1950s, Korean women’s classical operas were very popular among people. Love stories starring men impersonating female opera singers in a period setting attracted numerous fans, especially those who wanted to become opera singers. What happened to girls who did not waif for their princes but wanted to become princes in their own right? Girl Princes is a documentary about the little known cultural history of the 1950s and a world of queer and powerful women. Girl Princes entered this year’s IWAR Asian Women’s Film Festival in India and will be screened during the Indie Documentary Festival. The film become the talk of the town by entering the New Wave category of the International Women’s Film Festival in Seoul in 2012 and being screened as the closing film of the LGBT Film Festival. Girl Princes sheds new light on the liberal energy of this extraordinary cultural community of women. The film depicts the cultural history of women while investigating how women’s cultural activities were conducted amid the male-dominated traditional Korean music world’s rejection of female singers. The film reviews the history of girl fans who loved girls who began their journey to becoming princes rather than waiting for their own. The film catches the current situation of female opera singers such as JO Keung-aeng, KIM Jin-jin, and KIM Hey-ri who still devote themselves to Korean women’s classical operas in spite of their advanced age. Korean women’s classical operas were popular among people but fell sharply in the 1960s due to the overhaul of the national system. This fact suggests many thing to us now. Female opera singers’ critical minds at the time and their experimental spirit to create innovative stages by introducing new stage forms and star systems offers a new role model to cultural guerrillas living today.